Complete with a distinct earthy, mushroom notes as soon he emerges from his packaging, when sliced open this delicious Cornish Camembert is fresh and creamy with a buttery texture. Over time, this cheese will begin to ripen, providing a strong and pungent aroma that a great camembert is best known for. This is when the boy is at his best! Cut him open and you will see a river of thick, creamy gooeyness that oozes out across the cheese board. Perfect for baking, or just enjoying by himself – the boy is a real man in the making. Meet the village’s favourite – Boy Laity. 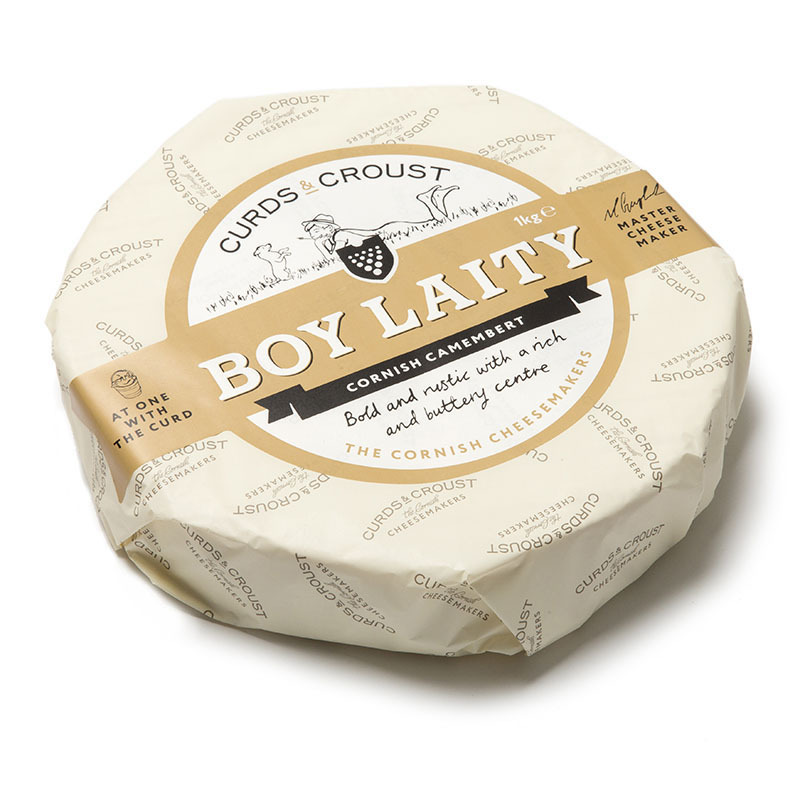 He’s a traditional mould ripened premium Camembert with its rich, bold and buttery texture that only gets better with age. 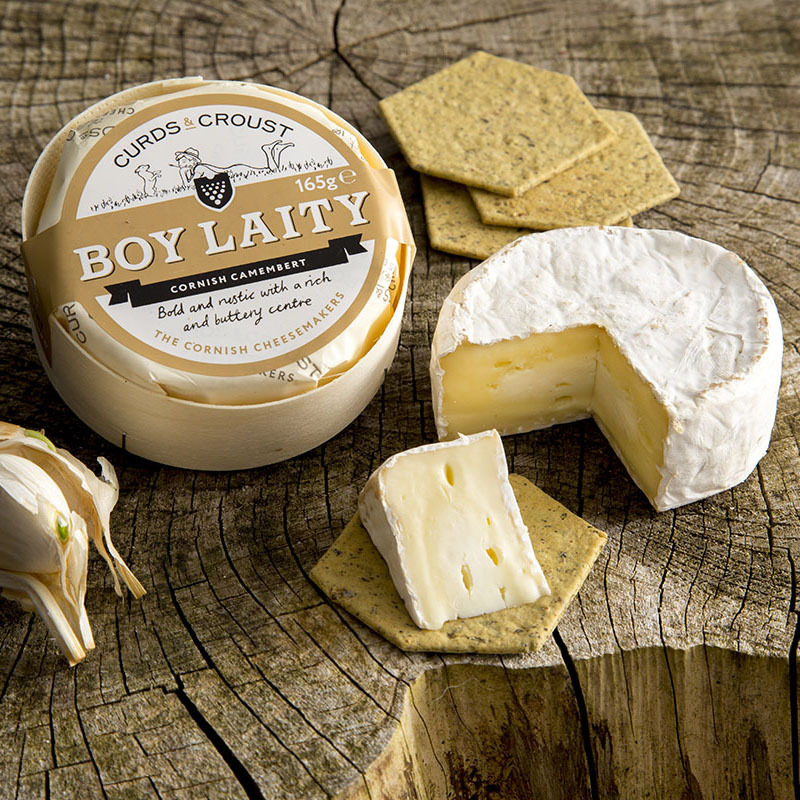 A favourite with many a cheese lover, Boy Laity really comes to life as he matures and softens. 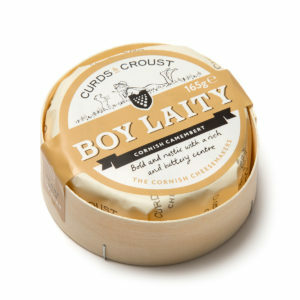 When ‘the boy” becomes of age, his complex nature becomes apparent and pungent aroma develops within that rippled rustic rind. If our smaller 165g options are not enough, why not try our special 1kg cheeses, which are perfect for sharing among friends at dinner parties, and they also are a great option for a cheese wedding cake. This cheese is not suitable for vegetarians.